FIVE DEAD SEVERAL KIDS FIGHTING FOR THEIR LIVES IN SHOOTING AT JEWISH SCHOOL IN TOULOUSE FRANCE……. – The Tundra Tabloids……. 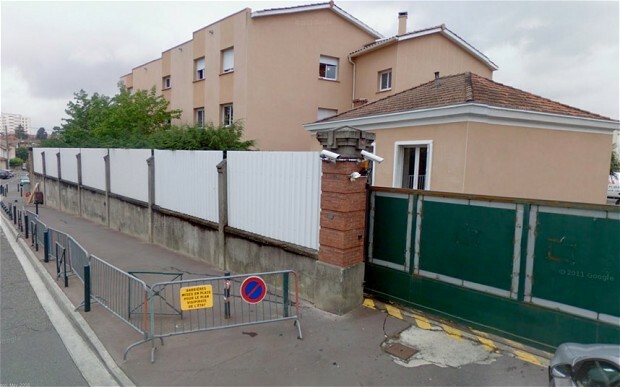 FIVE DEAD SEVERAL KIDS FIGHTING FOR THEIR LIVES IN SHOOTING AT JEWISH SCHOOL IN TOULOUSE FRANCE……. And to think that there are people who still dare to insist that Islamofauxbia is the greatest threat facing the world today. Motorcyclist opens fire near school, media reports victims are a professor, his two children; incident may be linked to spate of mysterious shootings that have taken place in southern France over past week. A gunman on a black motorcycle opened fire on a crowd outside the Ozer Hatorah Jewish school in Toulouse, France on Monday morning, killing three people. The names of the victims were not yet released but French police was quoted as saying that they were a university professor and his two children. Police are investigating the circumstances of the attack. The French Interior Ministry ratcheted up security at Jewish schools across the country in response. Some 500,000 Jews live in France, the third largest Jewish community in the world. The fatal attack in Toulouse may be linked to a two other mysterious shootings that have taken place in the area over the past week . Last week an off duty French soldier was shot dead by a motorcyclist in Toulouse. On Thursday three French soldiers were shot by an unknown man at a shopping mall in Montauban, 50 kilometers north of Toulouse. Two of them later died of their wounds. French police said similar ammunition was used in both shootings. Next Post Next Post NEW YORK WELFARE RECIPIENTS……..
Ah…it looks like the islamic world have a Breivik too. The Islamic world has a Breivik ‘moment’ at least every single week (or more) of the year. Every week would be an understatement if you regularly check the religion of peace. Seems like every day the Islamic world has a Breivik…or two. Very sadning. I’m very shocked I must say. Lets hope the remaining people survive. November 6, 2005 Copycat arson attacks hit the outskirts of Toulouse…Despite calls for calm Saturday, 1,295 cars were torched overnight compared with 897 the previous night, while arrests totalled 312 up from 253. September 29, 2006 Robert Redeker has not attended classes at his secondary school near Toulouse in southern France since September 19, when his opinion column appeared in the right-wing daily Le Figaro. . .Redeker described the Koran as a “book of extraordinary violence” and Islam as “a religion which … exalts violence and hate” . . .”Teacher forced into hiding after attacking Islam,” “. 2007 Elaborating on the growing al Qaeda threat there, as authorities also detained 11 suspects in pre-dawn raids in Toulouse and Paris. Eurabia Alert. January 6, 2009 Assailants rammed a burning car into the gates of a synagogue in Toulouse, in southwest France, Monday night. February 16, 2010 Quick, one of France’s most popular fast food chains. . . has replaced bacon with smoked halal turkey in restaurants in three branches in a Paris suburb, two in Marseille, and the remainder in Toulouse. . .These restaurants now serve only halal food. August 24, 2011 In Paris and other French cities with high Muslim populations, such as Lyons, Marseilles and Toulouse, thousands of Muslims are closing off streets and sidewalks (and by extension, are closing down local businesses and trapping non-Muslim residents in their homes and offices) to accommodate overflowing crowds for Friday prayers. I walked down the street in Barcelona, and suddenly discovered a terrible truth — Europe died in Auschwitz. And under the pretence of tolerance, and because we wanted to prove to ourselves that we were cured of the disease of racism, we opened our gates to 20 million Muslims, who brought us ignorance, religious extremism and lack of tolerance, crime and poverty due to an unwillingness to work and support their families with pride. They have turned our beautiful Spanish cities into the third world, drowning in filth and crime. Holed up in the apartments they receive free from the government, they plan the murder and destruction of their naive hosts. And thus, in our misery, we have exchanged culture for fanatical hatred, creative skill for destructive skill, intelligence for backwardness and superstition. We have exchanged the pursuit of peace of the Jews of Europe and their talent for hoping for a better future for their children, their determined clinging to life because life is holy, for those who pursue death, for people consumed by the desire for death for themselves and others, for our children and theirs. In an apparently separate incident, threatening letters were sent to two Parisian synagogues on Monday. According to the French Police, letters saying, “You are the people of Satan, hell awaits you” were sent to synagogues in the capital’s eighth and 19th arrondissements. Now who would be concerned with Satan more – Muslims or Extreme-right nationalists? I betting the shooter is of North African Muhammedan descent. The killer was described as a small man who acted calmly, stopping to change the magazine of his pistol. Witnesses described how he had turned over one of the wounded men who was trying to crawl away, and fired three more shots into him. He was someone obviously used to handling a gun, a judicial source told AFP. One witness, who described the killer as “of average height and quite fat”, told French broadcaster RTL his helmet visor had been raised and she had seen his eyes and a tattoo or scar on his face. “one of the soldier victims had a criminal record, other than a speeding offence in one case, seems to undermine the theory of a gangland motive. Furthermore, the soldiers in Montauban did not know the sergeant killed in Toulouse, according to France TV Info. What the victims have in common is that they belong to, or are associated with, ethnic or religious minorities – North African, Caribbean and Jewish. 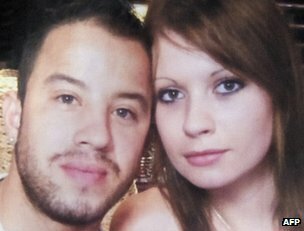 * On Sunday 11 March, Imad Ibn-Ziaten, a 30-year-old staff sergeant in the 1st Airborne Transportation Regiment, not in uniform, was shot dead around 16:00 (15:00 GMT) behind a school in a quiet district of Toulouse.He had posted a small ad on a website to sell a Suzuki Bandit motorcycle, and the suspected gunman had arranged a meeting to see it. *Thursday, March 15th – Two members of the 17th Airborne Combat Engineering Regiment, Corporal Abel Chennouf, 24 ( Catholic? ), and Private Mohamed Legouad, 26, were killed. Both, like Sgt Ibn-Ziaten, were of North African origin. A third paratrooper, 28-year-old Corporal Loic Liber from the French overseas region of Guadeloupe (of Afro-Caribbean descent), was left in a coma. The sergeant was found shot in the head, his motorcycle beside him. I appreciate your concern and deep sympathy.